These skills can be used directly on an enemy Turf or an ally's Turf. Can also be used on troops or a tile. 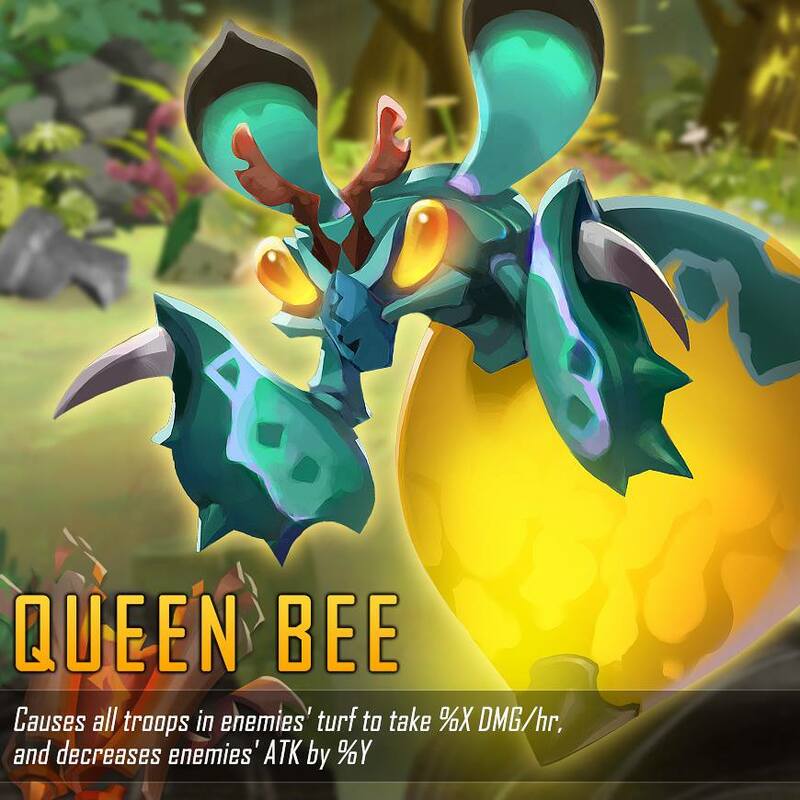 Take a look at Queen Bee's skill today and leave comment below! EKU. so monster skills seem to be an interesting new idea kinda like in rpg summoning or familiars stats.... How easy is it gonna be to acquire skills or should it be guild leaders only, I think it should work on a system of everyone contributes in the guild...as a requirement.